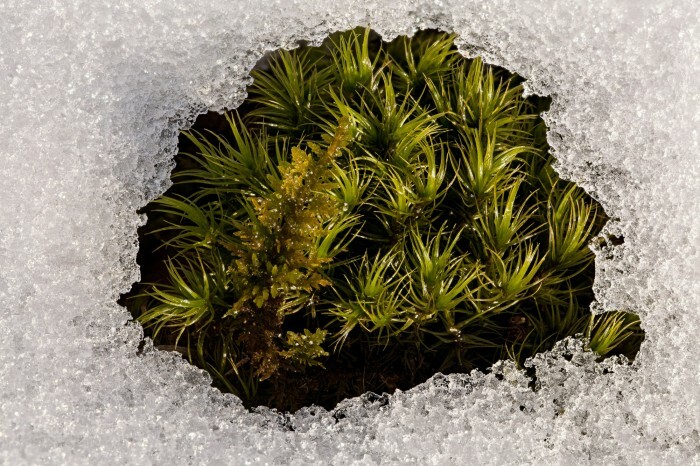 How to recognize broom moss: Dicranum scoparium is a robust densely tufted cushion moss with long narrow leaves that grow asymmetrically like bent swords (falcate) and are all swept to one side of the stem (secund). 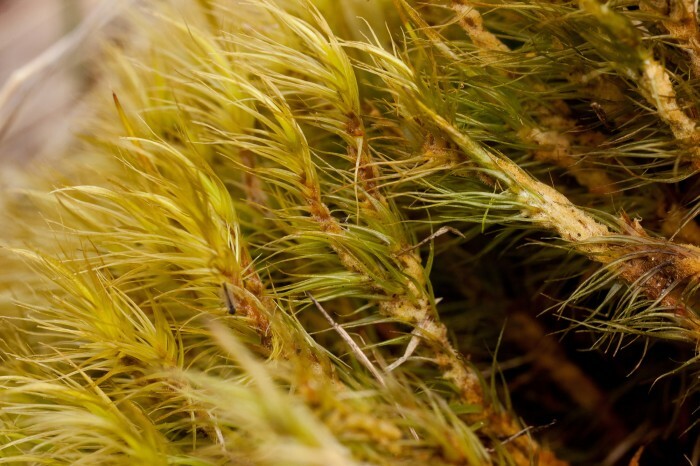 The 5-9 mm leaves are concave below and keeled above, usually with 2-4 toothed ridges above on the back of the costa. The enlarged alar cells are bistratose. 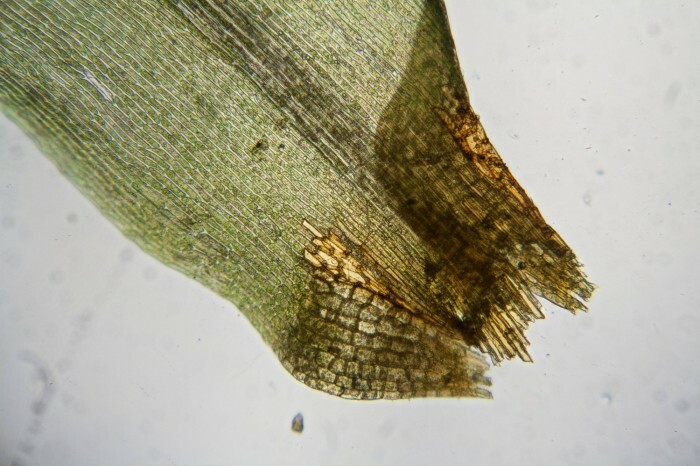 The upper leaf cells are elongate and pitted (obvious small projections in the lumen or open clear space in the cell). 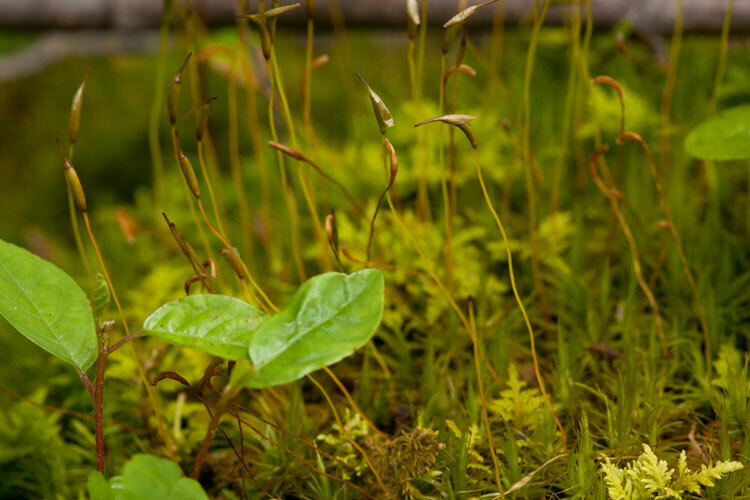 The single sporophytes per plant has a curved capsule inclined to horizontal. The capsule lid or operculum is long rostrate (with an extended narrow projection). 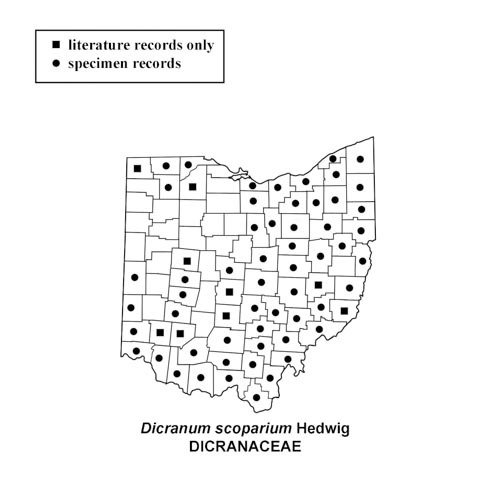 Where to find broom moss: Dicranum scoparium is an especially common moss, known from all except the most predominantly agriculturally dominated counties in Ohio. 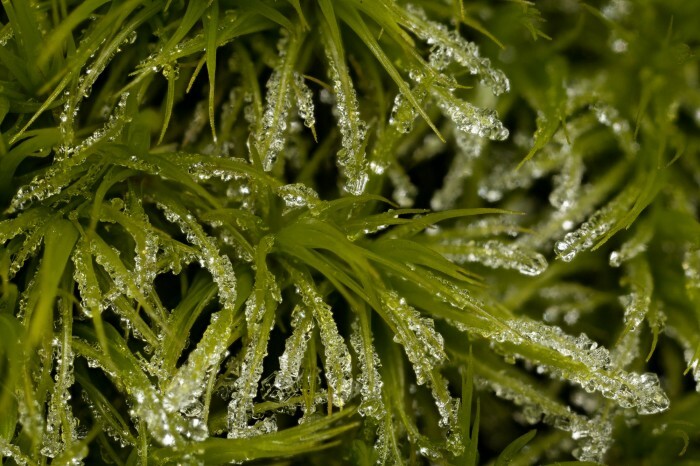 It occurs on soil in open areas and clearings in forests, often on bluffs above rivers or valleys. It is also found in almost every state.